Roblyn is perhaps more closely associated with ChemMasters than any other employee. 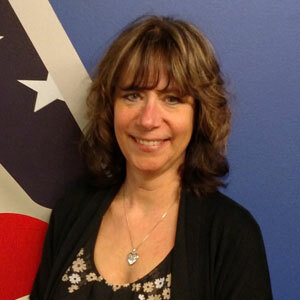 In her 24 years of customer service, she has developed deeply personal relationships with customers across the country. She is friendly, cheerful and helpful. Roblyn is a member of the ChemMasters Health & Wellness Committee, organizes the annual Madison Food Bank drive, organizes company events for holidays and birthdays, and bakes cookies for our distributor training seminars. She goes above and beyond in her contribution to the quality of our work environment, and the lives of those she works with at ChemMasters and beyond. It is fitting that Roblyn is ChemMasters' inaugural Employee of the Month, and that she should set the standard of excellence to which we all aspire. 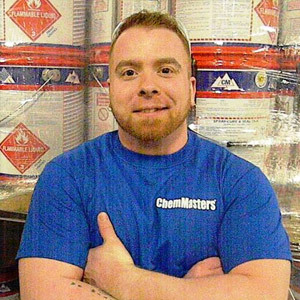 Kevin joined ChemMasters in 2011 and immediately made himself an indispensable member of our production team. He is a quiet man whose work ethic, friendship and reliability speak loudly. Kevin's natural leadership skills have earned him the respect of his co-workers. He has taken it upon himself to organize production in our batch plant on a daily basis. He sets goals, motivates his colleagues and coordinates his teammates to meet and surpass departmental expectations. When order levels require that we work overtime, Kevin is a reliable volunteer. He has even returned to work after hours in order to supervise offloading of a critical raw material. When a member of the Safety Committee was unable to participate due to long term disability, Kevin volunteered to serve in his place, helping to craft an Eye Safety program and developing operating procedures for the safe handling of dangerous chemicals. Kevin exemplifies the most valuable qualities for a friend and employee. Ryan is a relative "newcomer" to the ChemMasters family, having joined us in April of 2013. But being new hasn't kept him from making an immediate impact on our business and the quality of our work environment. Anyone that meets Ryan is immediately struck by his enthusiasm, positive attitude and indelible smile. It's impossible not to appreciate the impact he has on his colleagues and our productivity. In addition to making ChemMasters an enjoyable place to work, Ryan has demonstrated an exceptional work ethic and teamwork. He is a reliable participant when overtime production is needed to fulfill customer orders, willing participant in all company programs and initiatives, and has taken it upon himself to proactively engage in the implementation of self-directed improvements to our housekeeping and inventory organization programs. Outside of work, Ryan is an avid gym enthusiast, active member of his local church, and donates his time to assist those with developmental disabilities. Ryan is an outstanding ChemMasters employee and a valuable member of our local community. For Jim Barber, ChemMasters is truly a family business. Jim joined the ChemMasters family 24 years ago, following in the footsteps of his father Gus who retired in 2001. His younger brother Scott has worked for us since 1999, and two years ago the Barber family legacy was extended for another generation when Jim's son Tony joined the ChemMasters team. Jim is the most versatile employee at ChemMasters, having been trained in all aspects of manufacturing and within each production department. Often referred to as "the robot", Jim has an uncanny ability to ensure that every batch of material produced meets all manufacturing, industry and quality control standards… first time, every time. As a result, he has become ChemMasters' senior batch man responsible for the most critical and challenging production requirements. Jim is always willing to tackle the tough jobs and go the extra mile. And although he specializes in manufacture of liquid products, Jim's versatility and willingness to pitch in where needed is invaluable when circumstances in other departments require additional help. Anyone familiar with ChemMasters knows that Jim is a man of few words. But when he speaks, everyone pays attention because they know it's both valuable and informative. In sporting terms, Jim is the proverbial "coach on the field" and an integral part of why our customers can rely upon the consistently superior quality of ChemMasters products. John has been a tireless asset to our company for over nine years, both in the office and out in the field. His industry knowledge and kind, patient demeanor is only exceeded by the enthusiasm he brings to any job. He's a member of our Safety Committee, Packaging Committee and Technical Committee here at ChemMasters. He answers incoming technical calls, solves customer problems and pitches in wherever there's a need. John is always the first to volunteer for projects big and small, doing each to the best of his ability. John's attitude and service goes well beyond ChemMasters to include an extensive history of volunteerism. He has participated in the construction of five homes with Habitat for Humanity, wheelchair ramps for disabled veterans, and frequently donates his time to faith based and interdenominational groups such as H2O (Help to Others) to provide home repairs for disadvantaged residents. It's hard to imagine anyone being a better representative than John Kirk for the ideals inherent to the ChemMasters employee of the month. Both ChemMasters and our community are made better places because of John Kirk. Bill is the glue that has held ChemMasters together for over 38 years. On the job he is our unofficial company historian, IT guru, and Materials Manager responsible for all aspects of purchasing and inventory control. He is a member of the Fixed Assets committee and integral component to our continual quality improvement and cost containment initiatives. As if that were not enough, Bill has been a vital participant in special projects such as our batch plant expansion and fiber optic data line installation. No matter the need, Bill has the skills and passion to quickly meet and surpass the challenge. Within his local community, Bill generously devotes his personal time to worthy causes such as the Chardon VFW and Eagles. Bill is a tireless colleague whose conscientious attention to detail, work ethic, and participation have earned him the respect and admiration of everyone at ChemMasters. 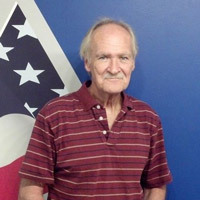 John joined ChemMasters in February of 2002 and over the years has become proficient in every manufacturing department. He currently "resides" in the paint department, making the difficult job of turning out consistent pigmented products look easy. His experience and attention to detail make ChemMasters' bridge and wall coatings the envy of our industry. 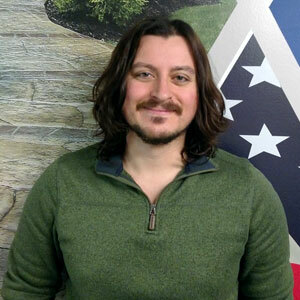 John is also a patient and devoted teacher who enjoys educating everyone he works with, and a dependable volunteer to work overtime to meet and surpass customer needs. At ChemMasters, John is an integral member of our S.O.P. committee and various paint and pigmented related task forces. Outside of work, John and his family have turned personal loss into a community service for water safety and drowning prevention. He is actively engaged in fundraising to support life-saving education, equipment and staffing for parks and beaches throughout Lake and Ashtabula Counties. John is a kind and thoughtful friend who brightens the day of everyone he meets. We are lucky to have him working with us at ChemMasters. 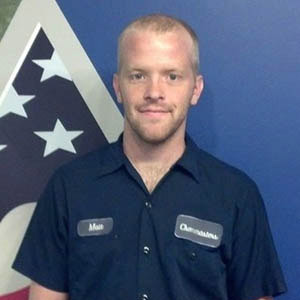 Matt joined ChemMasters in April of 2012 and from the outset distinguished himself as an outstanding member of our team. His awareness helped us avoid several potential issues in the plant and his work ethic is exceptional. He is patient, pleasant, reliable and hard working. Matt can always be counted on to pitch in on tough jobs or volunteer for overtime so we can fill customer orders. But it's the things he does without expectation of compensation or attention that make him exceptional. There are three words that do not exist in Matt's vocabulary… "Not my job." Matt has also volunteered to participate in several of our Lean projects to improve plant function and productivity. A quality he takes home when making contributions to those less able within his local community. Whether it's picking up trash or shoveling sidewalks for the elderly, Matt is always making a difference in people's lives. Matt improves the quality of our company and work environment, and for that he is superbly deserving of recognition. Mark joined ChemMasters in 2007, gaining experience in several plant departments. His enthusiasm, reliability and thirst for knowledge quickly made Mark one of our "go to guys". He learned his job, his colleague's jobs, and understood how everyone works together within the process to efficiently turn out high quality products for our customers. Early this year, Mark was asked to join our office staff. Although such a move can be challenging, Mark approached it the way he approaches all challenges… by working hard, being an informational sponge, and not being afraid to dive right in. After a few short months, Mark has become a Lean Six Sigma Yellow Belt and is actively engaged in several high profile lean projects in the plant, along with our Health and Wellness committee. Outside of work, Mark is an animal rights activist, organizes a local Toys for Tots event, a published author, a fencing champion and avid lover of all things "geek". He is truly a renaissance man in every meaning of the term. ChemMasters is lucky to have Mark contributing to the improvement of our company, our camaraderie, and our community. Scott is our second "legacy" employee of the month, joining his brother Jim as recipients of deserved recognition and following in the footsteps of their father, Gus. 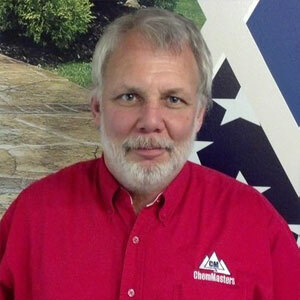 Scott's tenure at ChemMasters began in 1999, distinguishing himself for his consistency, reliability and attention to detail. His proficiency in all manufacturing departments earned the respect and admiration of his colleagues. When a position became available in 2010, Scott applied for a position with our laboratory team. It didn't take long for him to "learn the ropes", becoming an integral part of production and quality assurance. From color matching to quality control, those same attributes of consistency, reliability and attention to detail ensure that ChemMasters products always deliver the highest level of quality, performance and satisfaction. Scott also serves on the ChemMasters Health & Wellness committee and his intimate knowledge of manufacturing processes has established him as a leader on several of major Lean Six Sigma projects. When the work week ends, Scott's passion is camping and you can find him communing with nature, friends and family whenever the weather permits. Scott is a kind, considerate and a fast friend to everyone he meets and we are grateful to work alongside him. John is the first two-time ChemMasters Employee of the Month, and truth be told, he is worthy of consideration every month. John has been a tireless asset to our company for over nine years, both in the office and out in the field. His industry knowledge and kind, patient demeanor is only exceeded by the enthusiasm he brings to any job. He's a member of our Safety Committee, Packaging Committee and Technical Committee here at ChemMasters. He answers incoming technical calls, solves customer problems and pitches in wherever there's a need. Mark is a deserving two-time winner of ChemMasters Employee of the Month. As a Lean Six Sigma Yellow Belt, he has been instrumental in supervising the conception, development and implementation of a major restructuring of our material inventory organization. Drawing upon his experience in various production capacities, Mark has become an invaluable liaison between departments. The impact of this project on plant organization, safety and production cannot be overstated. If that were not enough, Marks' enthusiasm and congeniality contribute to the quality of our work environment each and every day. Outside of work, Mark is an animal rights activist, volunteers at LASA animal sanctuary, organizes a local Toys for Tots event, a published author, a fencing champion and avid lover of all things "geek". He is truly a renaissance man in every meaning of the term. It's never easy being the "new" employee, but things must seem to move at light speed when joining ChemMasters in the spring of any year. Which is exactly what Macie did in the spring of 2013. 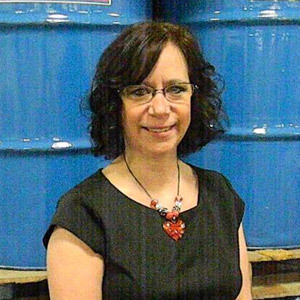 It is a testimony to her perseverance and personality that she has made herself an indispensable and beloved member of the ChemMasters family. Macie is a devoted single mom of three wonderful children, works two jobs and somehow manages to find time to volunteer at the Euclid Animal Shelter and Painesville Little League T-Ball. She also participates in the annual food and toy drive for St. Mary's Catholic Church and volunteers her time at the Cleveland Food Bank distribution center. This past month, Macie was specifically singled out by several of our best customers for the quality of her work and pleasant, professional demeanor. And although her colleagues appreciate the "sunshine" Macie brings to the office each and every day, it's nice to know our friends and partners enjoy her as much as we do. No longer the "new" kid at ChemMasters… Macie is an inseparable member of our family and all of us are better for knowing and working with her. She is the epitome of what it means to be "employee of the month". As our Cement Technologist, Alan is affectionately called our resident "rock head", but don't let the nickname fool you…he's one smart cookie. In fact, Alan is responsible for just about everything related to our cement based materials. That's a lengthy list that includes: product development, quality control of production batches, comparative analysis of competitive materials, product evaluation against industry specifications and standards, and even preparation of sample substrates for applied coatings and displays. Al is also an integral member of our team that conducts product training for ChemMasters distributors and select end users and somehow manages to find time to conceptualize and construct unique hands on equipment for product demonstrations. And he does it all with professional courtesy and a friendliness that makes him a joy to work with. Alan is a devoted husband and loving father of three. When he's not helping coach the Little League baseball team, you can often find Al tinkering with the truck he rebuilt last year. Trust me… don't be lured into a drag race with that monster! At home or work, Al is the kind of guy we all aspire to be. We're very fortunate to have him here at ChemMasters, and more so to have him as our friend. 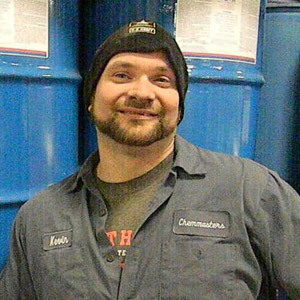 Alan Krupa is deserving of our recognition and gratitude as ChemMasters Employee of the Month for March, 2016. If an MVP can be described as someone who does it all, then Tim Gebhardt is a perennial MVP on the ChemMasters team. It would be impossible to fully list everything Tim does here at ChemMasters, but the list would include managing our production schedule and plant team, serving on our Safety and Inventory Accuracy Committees, participating in our Color Matching, Cure and Raw Material Reorganization Lean Projects, overseeing our packaging and shipping departments, and just about anything else that's associated with fulfilling our customers' on-time shipments. Tim possesses a rare combination of both leadership and partnership, with an unsurpassed work ethic and reliability. And despite a daily routine that would test anyone's sanity, he manages to maintain an unflappable demeanor and consistent good humor. In short, Tim is a pleasure to work with... every... single... day. Outside of ChemMasters, Tim and Cathy have been happily married for 26 years and are the proud parents of two lovely daughters. He always knows who's leading the PGA Tournament and in his spare time enjoys playing a little golf or visiting the local Moose Lodge. Tim has become a fixture at ChemMasters in the two short years since he joined us. He contributes both to the quality of our company, and our lives. 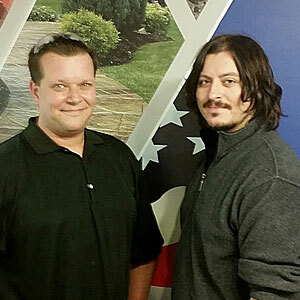 Two more reasons Tim Gebhardt is our deserving Employee of the Month for April, 2016. The number "two" seems to be significant this month. May marks the second time we've had dual Employees of the Month, and it's the second time each of our recipients has been recognized for their outstanding contributions. There are times in everyone's career when circumstances beyond our control disrupt our daily routine. Recently, one of our key office teammates required surgery. And although the entire office staff has picked up the slack in her absence, much of the extra work has fallen to Macie. Throughout it all, she has continued to provide our customers with exceptional service while bringing a little "sunshine" to our lives each and every day. It's great to know that in our times of greatest need, the ChemMasters family is lucky to have colleagues like Macie that we can count on. 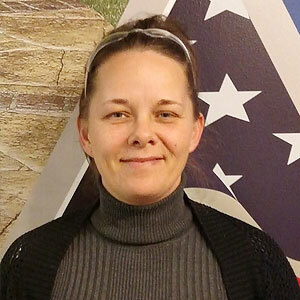 She is an indispensable member of our team, and a fitting example of what it means to be "employee of the month". Although a relative "newcomer" to the ChemMasters family, Ryan has quickly become a reliable and energetic leader in our batch plant operation. Anyone that meets Ryan is immediately struck by his enthusiasm, positive attitude and indelible smile. It's impossible not to appreciate the impact he has on his colleagues and our productivity. In addition to making ChemMasters an enjoyable place to work, Ryan has demonstrated an exceptional work ethic and teamwork. He is a reliable participant when overtime production is needed to fulfill customer orders, willing participant in all company programs and initiatives, a Lean Six Sigma Yellow Belt, and has taken it upon himself to proactively engage in the implementation of self-directed improvements to our housekeeping and inventory organization programs. Outside of work, Ryan is an avid gym enthusiast, active member of his local church, donates his time to assist those with developmental disabilities, and proud owner of a new home (enjoy the yardwork, big guy!). Ryan is an outstanding ChemMasters employee and a valuable member of our local community. Every successful team has a core group of all-star performers that are worthy of recognition each and every month. 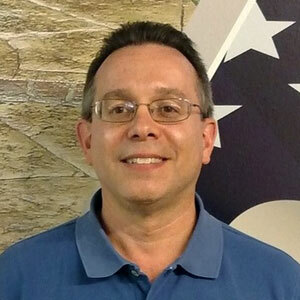 Kevin is one of our perennial ChemMasters all-stars, and we're lucky to have him on our team. This is the third time he's been recognized as our Employee of the Month. 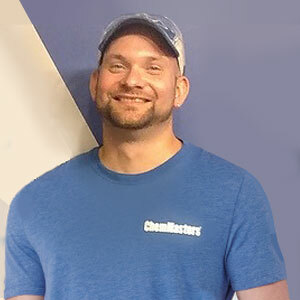 Kevin joined ChemMasters in 2011 and immediately made himself an indispensable member of our production team. He is a quiet man whose work ethic, friendship and reliability speak loudly. His experience in all our production departments enhances Kevin's versatility and importance to our operations. Kevin's natural leadership skills have earned him the respect of his co-workers. He's the first to arrive each morning to get extra work done before the daily distractions begin, and often the last to leave whenever we need someone to stay late and complete a customer's order. If the job is complex, thankless or tiresome, you can count on Kevin to do it, do it right, and do it with enthusiasm. Kevin motivates all of us to be and do better. As a Lean Six Sigma Yellow Belt, Kevin is an integral participant in numerous company improvement initiatives and standing committees. He is a tireless contributor who's always ready to lend a hand or share a kind word. Kevin exemplifies the most valuable qualities of a friend and colleague. Bill is the ChemMasters team "utility infielder", able to play a multitude of positions as needed. In addition to being an all-star Materials Manager and unofficial company historian, he oversees our in-house IT needs, overseeing everything from our laptop computers, hardware and programming to fiber optic data line upgrades. He is a member of the Fixed Assets committee, Inventory Control committee and an integral component to our continual quality improvement and cost containment initiatives. After 39 years it's hard to imagine a ChemMasters without Bill's constant presence, devotion and problem solving abilities. He arrives early, stays late, never seeming to have a moment's rest in between. And just when you think there's too much on his plate… Bill never fails to rise to the challenge and persevere! 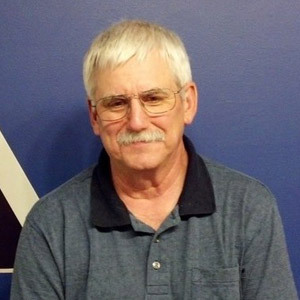 Bill is a tireless colleague whose conscientious attention to detail, work ethic, and dry sense of humor have earned him the respect and friendship of everyone at ChemMasters. "Selfless" is a term rarely used, and even more rarely earned. But it's the first thing that comes to mind when thinking of Roblyn. No matter the situation, she can be counted on to go above and beyond. Roblyn consistently maximizes every opportunity to make people feel special, exceeds every need she comes across, and makes everyone around her a better person. Her cheery and compassionate personality has enriched the lives of our colleagues and customers for 25 years. No one is more closely associated with ChemMasters, or more deserving of our thanks. Recognizing Roblyn as "Employee of the Month" is both appropriate and inadequate to her value as a teammate and friend. Some people are deserving of recognition every day, and in those rare instances it's all too easy for the exceptional to seem commonplace. It's that perpetual exceptionalism that we have all come to expect from John, and he never fails to deliver. John has been a tireless asset to our company for over ten years now, both in the office and out in the field. His industry knowledge and kind, patient demeanor is only exceeded by the enthusiasm he brings to any job. He's a member of our Safety Committee, Packaging Committee and Technical Committee here at ChemMasters. He answers incoming technical calls, solves customer problems and pitches in wherever there's a need. John is always the first to volunteer for projects big and small, doing each to the best of his ability. 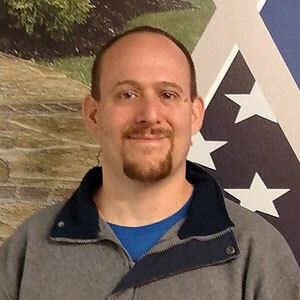 Most recently he devoted several days to a community project at a local veteran's retirement home, and when that project took longer than expected, John was there on a Saturday to see it through completion. John has an extensive history of service and volunteerism. He has participated in the construction of five homes with Habitat for Humanity, many wheelchair ramps for disabled veterans, and frequently donates his time to faith based and interdenominational groups such as H2O (Help to Others) to provide home repairs for disadvantaged residents. There was another election that took place this November as ChemMasters employees cast votes for Employee of the Month. Jim Barber has the unique distinction of being the first recipient to be recognized by his peers for his contributions to our production, work environment, and ultimately our customer satisfaction. This is the second time Jim has been recognized for his outstanding contributions, and for those who may not recall, exceptional work runs in the Barber family. Jim's dad, Gus, was a longtime ChemMasters colleague who retired in 2001, and his younger brother Scott has been with us since 1999. 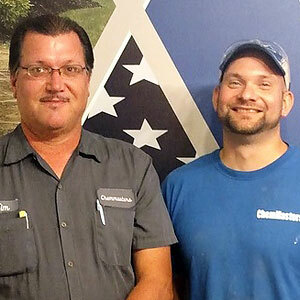 Notably, Scott is also a previous ChemMasters Employee of the Month. 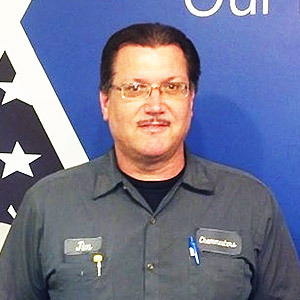 Jim is considered the most versatile employee at ChemMasters, having been trained in all aspects of manufacturing and within each production department. Often referred to as "the robot", Jim has an uncanny ability to ensure that every batch of material produced meets all manufacturing, industry and quality control standards… first time, every time. As a result, he has become ChemMasters' senior batch man responsible for the most critical and challenging production requirements.